Semester 2 has already started, and it is already in its 4th session in the coming weekend. For the past two weeks, the children and volunteers at Gift of Reading were really blessed to have with us a group of boys from Eunoia Junior College Floorball Team to join us for sessions as part of their Values in Action Project. Now, let's have a look at what Xavier has to say about his experience here at Gift of Reading! "Initially, we were really just looking for somewhere to conduct our Values in Action Project, but through a teacher, we managed to get in touch with the Gift of Reading team. We were all keen and approached the collaboration with an open mind, however being guys, most of us have never interacted with children before, hence, we were unsure of what to expect. While nervous, we were quite excited and looked forward to it. The volunteers at Gift of Reading was really friendly and it helped us ease into our roles much quicker. Being new to the job, we were relatively unprepared and taken aback by what we needed to do for the first session. I, for once found myself getting embarrassed when singing along with the children, and often found myself in awkward situations where my question would get ignored by them as well. However, we managed to learn on the job and by the second session, things took a huge turn. With the experience of the first session under our belts, we successfully took the lead and ran most of the second session by ourselves! From dramatising 'The 3 Little Pigs' to building fake straw houses with the children, we definitely made a huge improvement from the first one and I'm proud of what we managed to achieve in such a short time. By the end of the second session, we were already familiar with many of the children and so were they, with us. Yet, children could get challenging to manage at times. I recall once, one of them suddenly burst into tears for an unknown reason. I was taken aback and was at a loss, nothing I seemed to do would stop his crying. At the same time I felt really guilty as I might have been the cause of it. Thankfully, with the help of my fellow volunteers, we managed to calm the child down, and that it did not affect the programme. 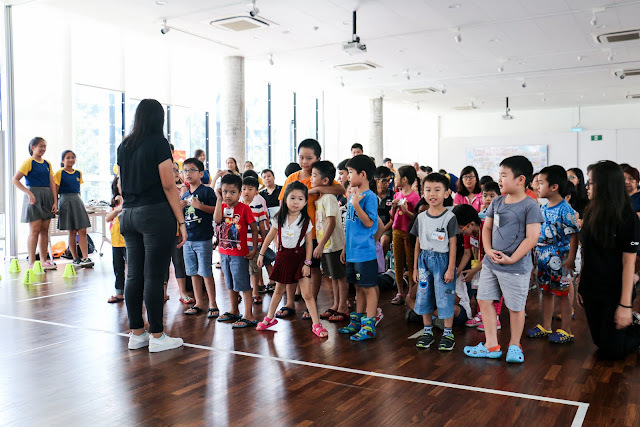 Nevertheless, these kind of situations proved to be good learning points for all of us, and more importantly, we discovered that children were actually really fun to be around and were a huge joy to talk to. While short, this has proved to be a real eye-opener and a really fruitful learning experience for all of us. It was definitely nothing like what we expected at the start, and we depart with a new, changed mindset and attitude towards others. Thank you all for everything!"